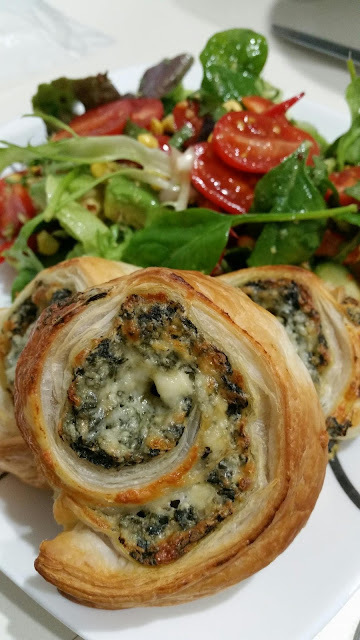 What's not to love ... gorgeous crispy puff pastry with a yummy spinach and cheese filling ... bought together with a tasty side salad for a quick nutritious meal. * To make 16 pin wheels firstly take a small bunch of fresh spinach and remove stems and finely shed the green only ... steam and strain off any excess moisture, cool and then squeeze out all liquid. *Place the cold spinach into a bowl along with about a cup of grated cheese, half a packet of cream cheese and a small finely diced onion. 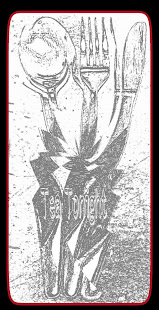 *Using 2 sheets of ready made puff pastry divide the mixture in half and spread evenly across both sheets. 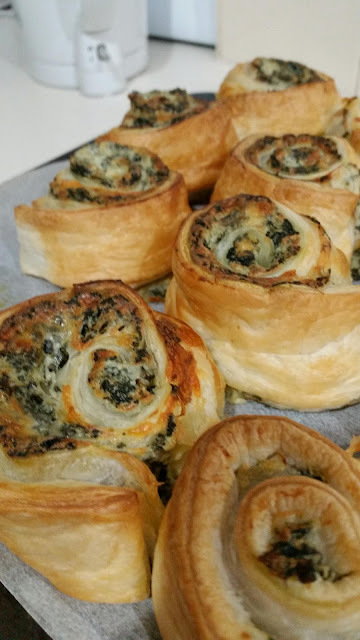 *Sprinkle thinly with a little more grated cheese and roll up quite tightly ... slice each of the rolls into 8 and place upturned onto baking papered tray. *Pop them into a hot oven (200 fan forced) and quickly bake for about 15 to 20 minutes until golden brown. A quick hot oven will result in a beautiful puff pastry.